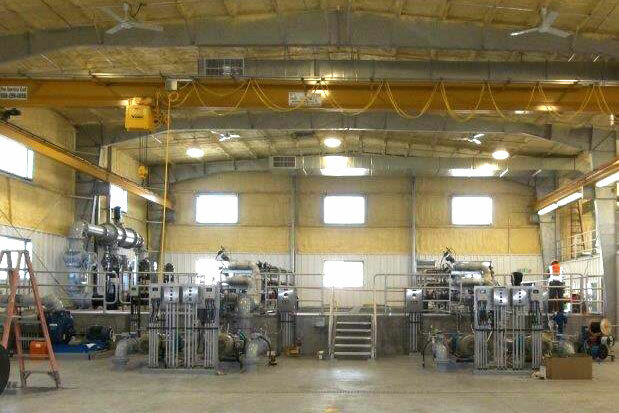 W. W. Clyde & Co. converted the existing extended aeration system to a membrane bioreactor (MBR) system which included modifications to the existing facilities at the WRF to convert to the new treatment process. W. W. Clyde was responsible for all the equipment installation and architectural, mechanical, piping, valving, and electrical work including cosntruction of new metal building, concrete tanks, installation of wastewater equipment, pumps, retrofitting and repair work on existing basins, yard piping, etc. Major equipment components were Owner Furnished, but W. W. Clyde performed installation and startup.